In his early adult years, Tim Mullen had a traumatic experience that caused him to lose a lot of blood. He was a victim of assault, and because he was working from a remote location, he had to be airlifted out to be taken to the nearest hospital. He had a bloody nose among other urgent complications. When the paramedics and hospital staff got to him, his blood count had dropped to close to 20 percent. But because of the medical help he received, and the blood donations from many anonymous people, Tim’s life was saved. After going through surgery and a period of recovery, he was released from the hospital and able to return to his life and work. Tim gives blood as often as he can, which is every eight weeks. 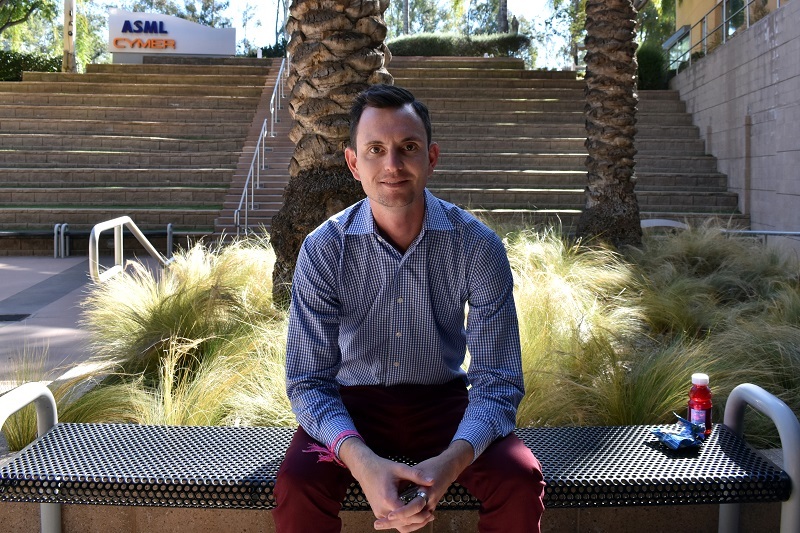 He works at Cymer, Inc., a local organization and technology supplier that arranges for the San Diego Blood Bank to bring mobile drives to its building in Rancho Bernardo, making it easy for employees to give time out of their day to help others.